Wash the chopped vegetables and cook it with turmeric powder and salt adding little water. 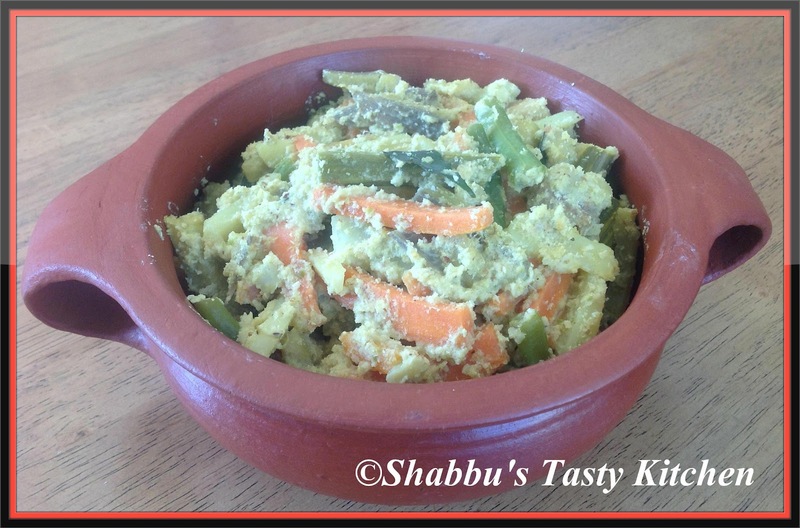 Coarsely grind grated coconut, cumin seeds and green chillies together and keep it aside. Add the ground coconut mixture to the cooked vegetables and cook for 2 minutes. Add the yoghurt and mix well. Check salt. Add the coconut oil and curry leaves. Switch off..Serve with rice..
Looks tempting and yummy curry. Adipoli aviyal. Ente favorite annu. Looks perfect n inviting...great combo with adai n rice ! yummy... Thanks for linking to my event ! !